A treat for the palate! The tart flavor of cranberries, the distinct pungent flavor of fresh ground horseradish, and a rich, creamy base create a winning combination. 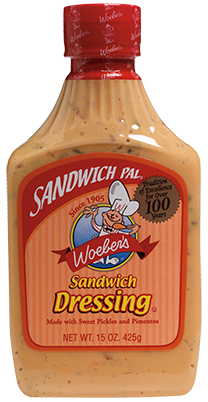 Loaded with flavor, this robust sauce is great on sandwiches, and adds zip to salad dressings, dips and sauces. Smooth and creamy. Spicy and Bold. An old world recipe that enhances all meat sandwiches especially sausages and hot dogs. This is our signature! 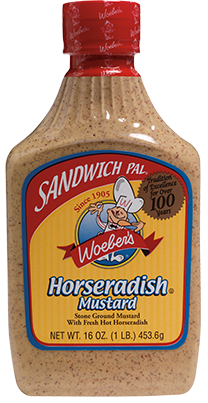 Its zesty taste has been created from freshly ground horseradish blended with special spices into a creamy base. 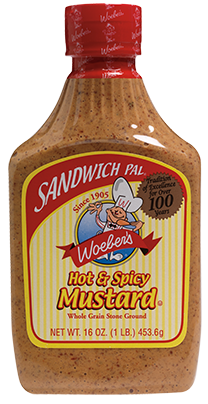 Its smooth texture counters its hot, lively taste to make it the perfect sandwich spread. 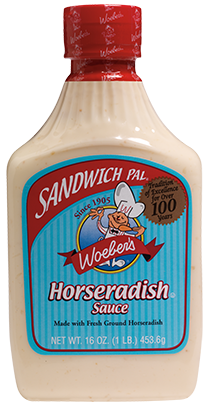 Our horseradish sauce also enhances marinades, salad dressings and dip recipes. South-of-the-border ZING! 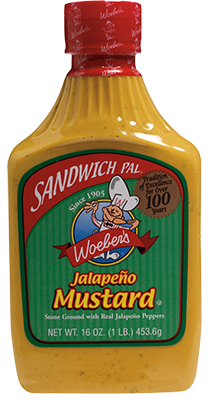 Real jalapeno peppers are stone-ground with special spices to perk up your taste buds. 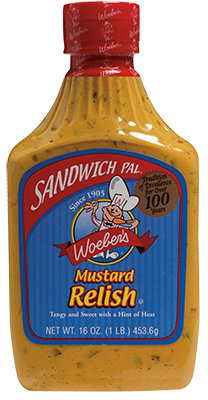 It works about anywhere, especially on hot dogs, burgers and other sandwiches. 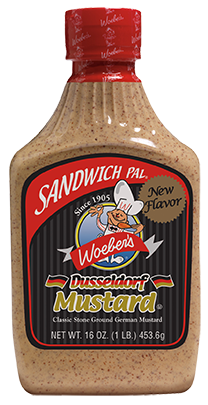 America’s favorite yellow mustard taken to the next level. 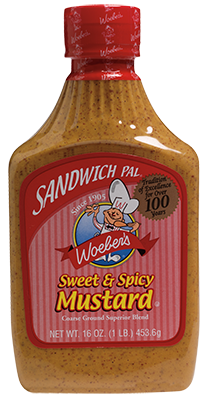 Blended with sweet pickle, crushed red peppers and spices, it gives burgers, hot dogs and other sandwiches a whole new attitude. 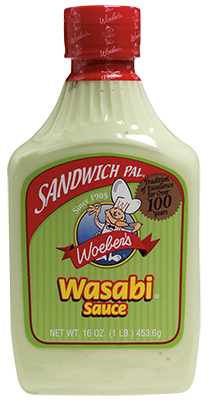 Turn up the heat on your sandwiches, spreads, dips and more with our unique blend of horseradish sauce, Wasabi, and special spices. 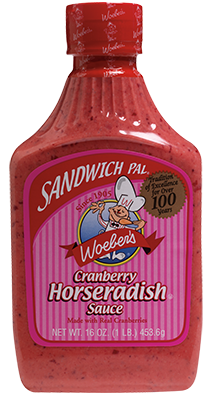 Hey Buddy!, I found this information for you: "SANDWICH PALS CRANBERRY HORSERADISH SAUCE – 16OZ". 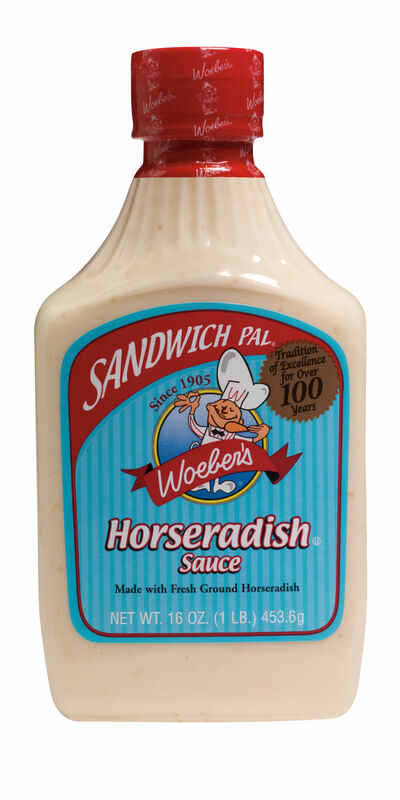 Here is the website link: https://www.woebermustard.com/product/sandwich-pals-cranberry-horseradish-sauce-16oz/. Thank you.